Leeds-based Blue Logic continues its commitment to apprenticeships by achieving Ambassador Status with The Apprentice Ambassador Network (AAN). 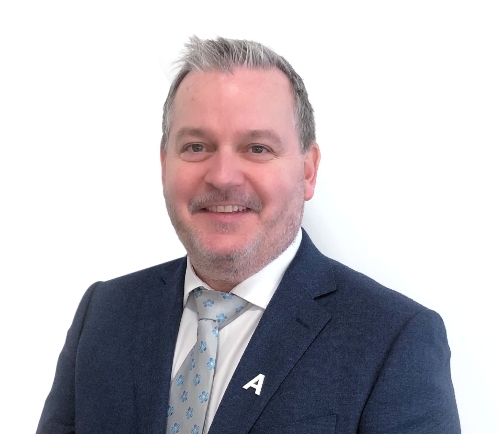 Blue Logic’s operations director Simon Heafield received entry into the prestigious network due to his and the company’s ongoing support of apprentices in the North. Currently employing seven apprentices, Blue Logic has demonstrated a high commitment to their young trainees and with the support of the Apprenticeship Ambassador Network (AAN) group it will continue to educate local business and the community. Encouraging its customers and connections to engage and employ further apprenticeship delivery in the North. Blue Logic’s apprentice scheme has been a success since its conception three years ago. The scheme and the apprentices that have passed through it have even received national reignition. Junior technical engineer Daniel Hoult was highly commended in the Rising Star category at the Yorkshire and the Humber regional final of the National Apprenticeship Awards 2018, and the scheme has been recognised at the Regional and National Apprenticeship Awards and has been named in the Top 100 Apprenticeship Employers list. Mr Heafield said: “Apprentices should form part of the future of every business, and we have long understood the value and benefits they bring. We have built a successful environment that encourages our team to grow and develop in the workplace.